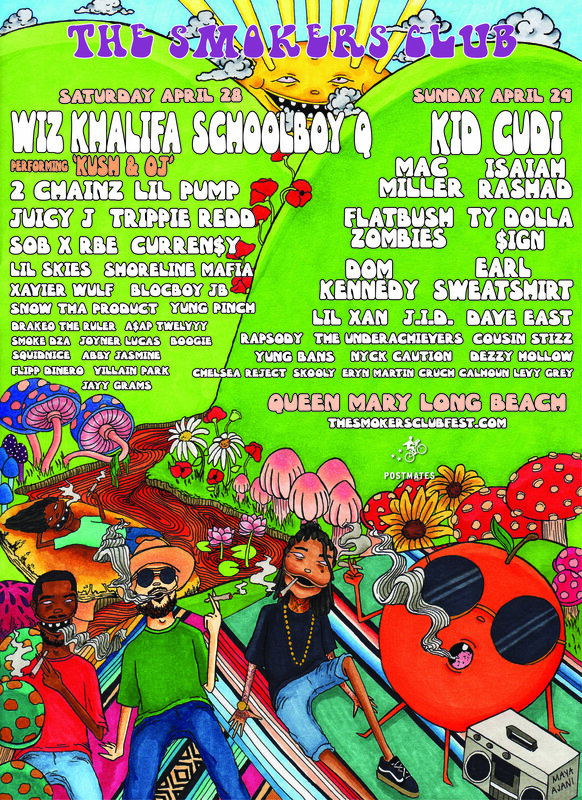 In its second year, The Smokers Club Fest has expanded into a two days fest and finds a new home in the city of Long Beach, California. The event will take place on April 28th & 29th at the waterfront of the Queen Mary and feature performances by Kid Cudi, Wiz Khalifa (Performing ‘Kush & OJ’), Schoolboy Q, Mac Miller, Isaiah Rashad, 2 Chainz, and many more. Passes are on sale now at thesmokersclubcest.com. Two-Day and Single Day Passes are available along with VIP options including tables, cabanas, and hotel packages. General admission single day passes start at $85 and two-day general admission passes start at $150. VIP tickets and exclusive packages are also available for purchase.